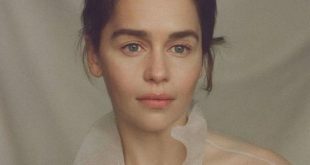 The Screen Actors Guild Awards took over Hollywood on Sunday night with a glamorous red carpet and a show full of winners. 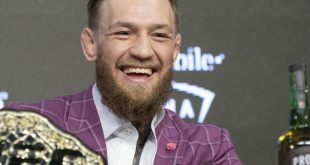 The fun continued into the night with afterparties that brought TV and movie stars together to mix and mingle. 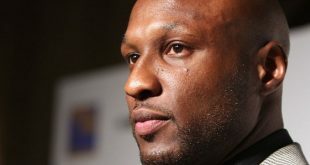 We were there every step of the way, and now we’re showing you the very best from the big event. 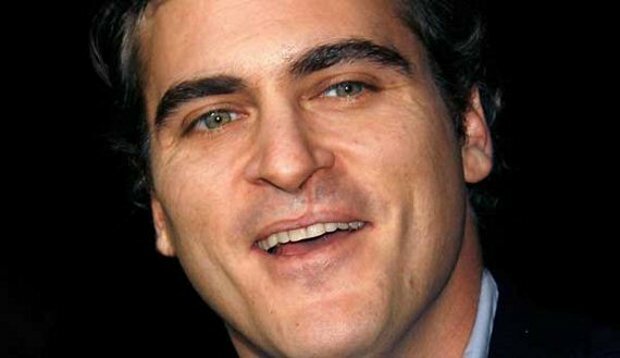 Start scrolling to see the hottest and most hilarious moments from the SAG Awards, and make sure to check out the funniest jokes from the stage. 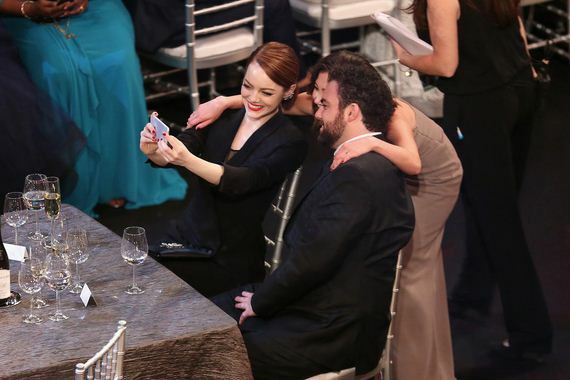 Emma Stone snapped a selfie with her brother, Spencer, and a friend during the show. Keira Knightley held onto her husband James Righton’s hand while watching the show. 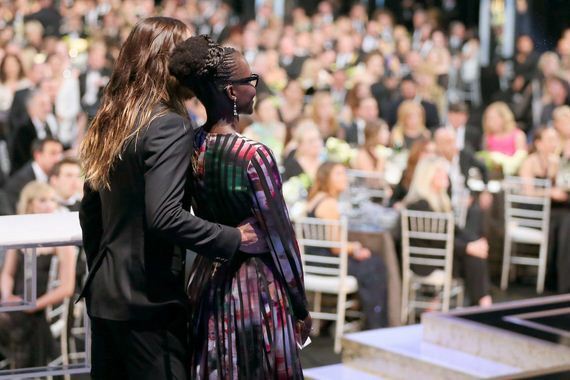 Jared Leto got close to Lupita Nyong’o on stage. 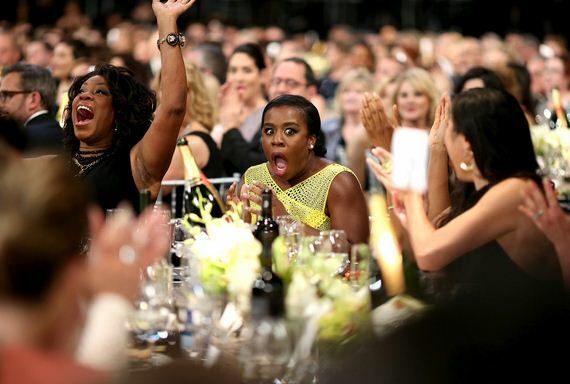 Uzo Aduba’s pure joy was evident when her name was called for outstanding performance by a female actor in a comedy series. Ethan Hawke congratulated Patricia Arquette on her win for Boyhood. 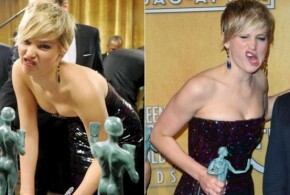 Eddie Redmayne and Julianne Moore showed off their statues. Reese Witherspoon and her husband, Jim Toth, shared a sweet moment at their table. Jennifer Aniston chatted with Meryl Streep and Julia Roberts. Maggie Gyllenhaal and Viola Davis cozied up at an afterparty. Andy Samberg and his wife, Joanna Newsom, celebrated after the show. 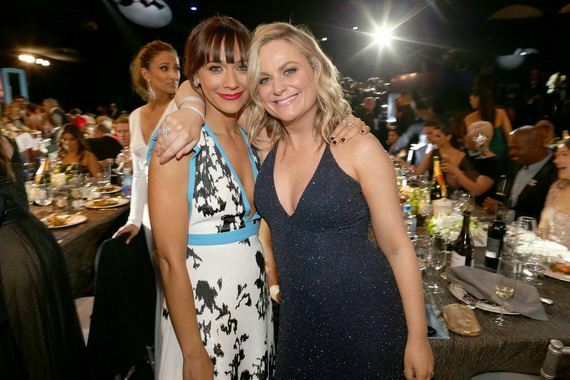 Rashida Jones and Amy Poehler made a cute pair. Emma Stone nearly tripped Naomi Watts on stage as they picked up the statue for Birdman. Matthew McConaughey signed a Dazed and Confused poster. 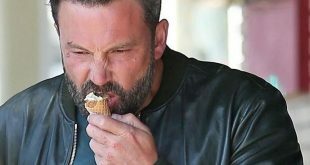 Joe Manganiello had Reese Witherspoon laughing before the show. 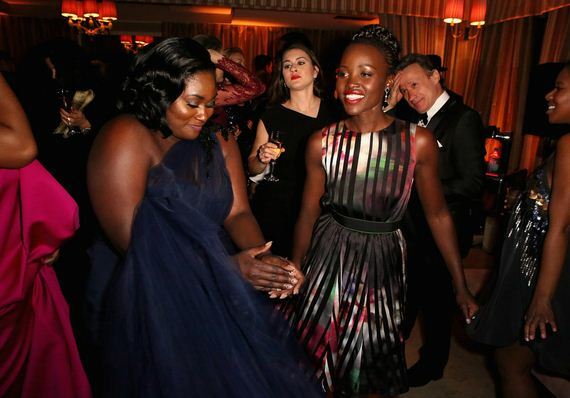 Lupita Nyong’o danced the night away at The Weinstein Company and Netflix’s bash. Joe Manganiello and Sofia Vergara showed off their newly engaged glow on the red carpet. 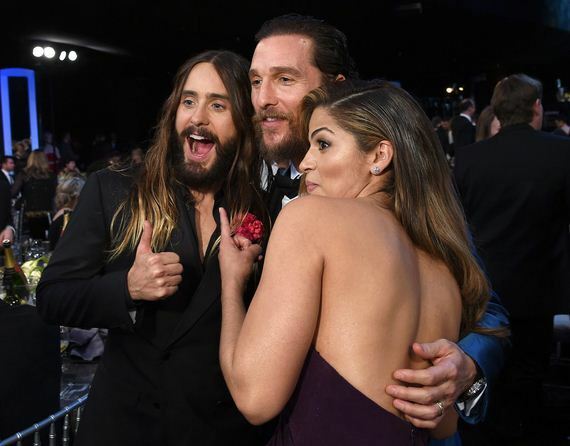 Matthew McConaughey and Camila Alves had a candid moment with Jared Leto. Sarah Paulson and Amanda Peet shared a giggle. 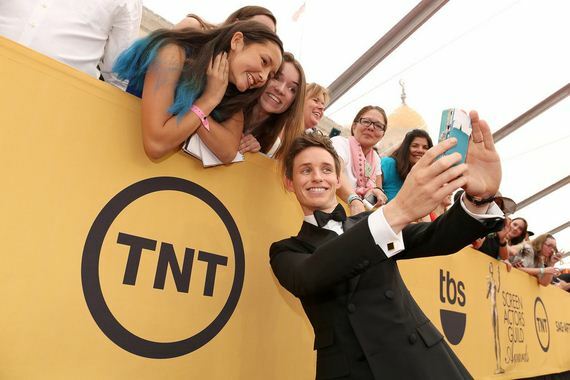 Eddie Redmayne snapped a selfie with fans. Julie Bowen and Sarah Hyland traded smiles. William H. Macy got a kiss from his wife, Felicity Huffman, after his big win for Shameless. 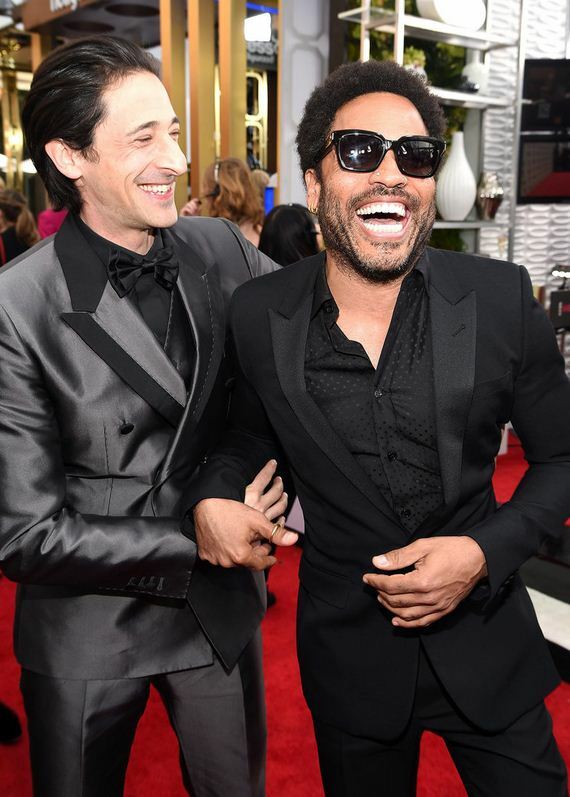 Adrien Brody and Lenny Kravitz cracked up on the carpet. Julianne Moore and Steve Carell sat together in the audience. 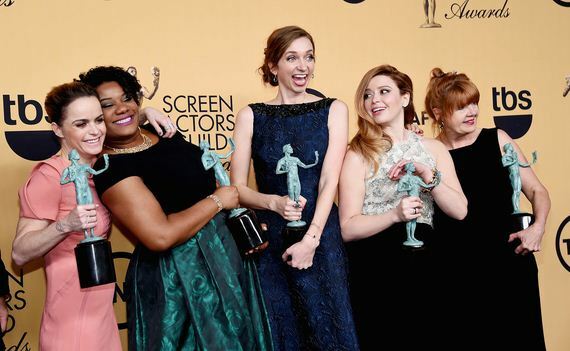 The cast of Orange Is the New Black celebrated their win in the press room. Naomi Watts and Julianne Moore stopped to chat with Adrien Brody. 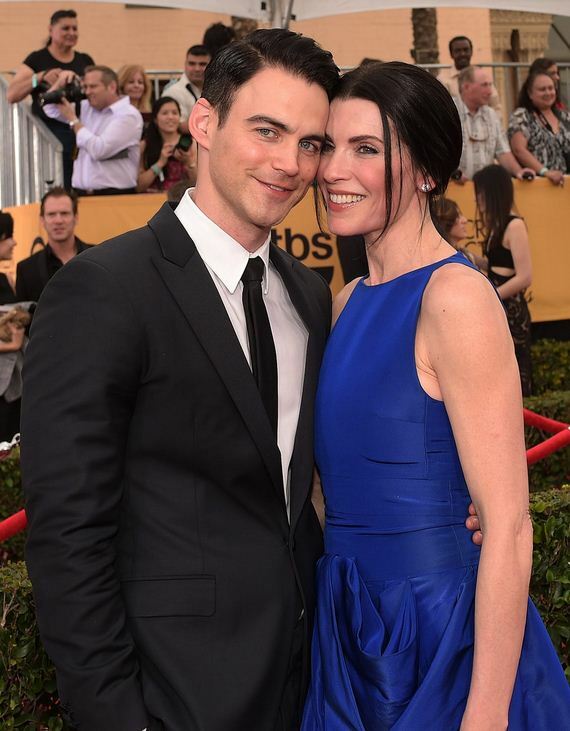 Julianna Margulies and her husband, Keith Lieberthal, got cute on the carpet. 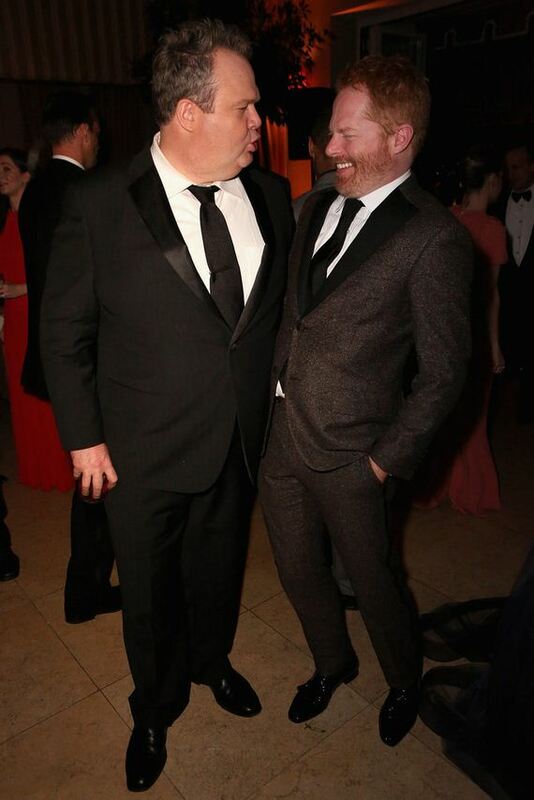 Eric Stonestreet and Jesse Tyler Ferguson had a moment.